Occupiers holding court session on case of "Simferopol Five"
February 9, in the occupied Crimea, the so-called Supreme Court began a meeting on the case of the unlawfully detained group of Crimean activists "Simferopol Five." Hearing is held in a closed session, the public association Crimean Solidarity reported on Facebook. The occupiers at the meeting are considering the issue of extending the terms of detention. “Again people are writing complaints against the closed session of court. People stand in line to enter the secretariat (to write complaints about not allowance even to the announcement of closed meetings and even in the courthouse). Only 1-2 people are allowed in turn. The entrance is restricted only to the Crimean Tatars, Crimean Muslims, who came to the session in the so-called "Hizb ut-Tahrir case". 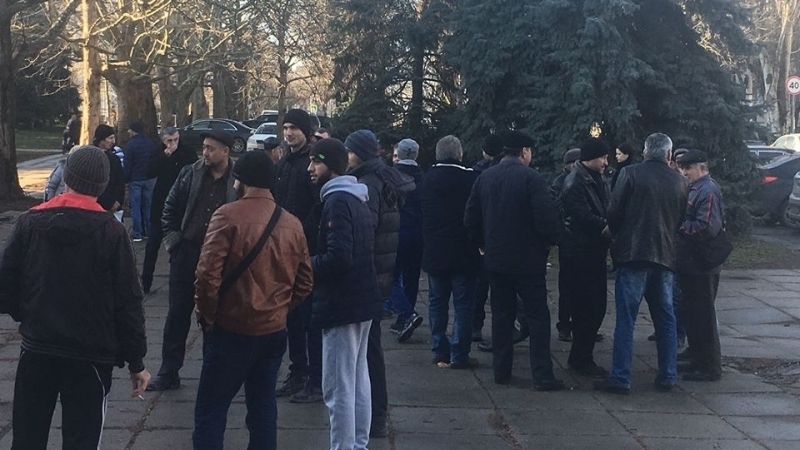 In their complaints, people write that they are not allowed even to the court building, thereby Crimean Muslims are being infringed and discriminated on national and religious grounds," it was reported. Let us note that on December 22, 2017 the "court" left the figurants of the so-called "Simferopol case" in custody until February 11, 2018. Reference: Teymur Abdullayev, Uzeir Abdullayev, Emil Dzhemadenov, Rustem Ismailov and Aider Saledinov who were arrested on October 12, 2016 in the "Simferopol case of Hizb ut-Tahrir" are charged under art. 205.1 and 205.5 of the Criminal Code of the Russian Federation in organizing and participating in the activities of Hizb ut-Tahrir, organization recognized as terrorist in the Russian Federation. On February 8, the occupiers held a regular trial to extend the measure of restraint to the Bakhchysarai group in the case. The meetings were held in closed session, according to reports of Crimean solidarity. Measure of restraint against Enver Mamutov, Rustem Abiltarov, Zavri Abseitov and Remzi Memetov was extended until April 17, 2018.